Today, the demand for data is increasing at an unprecedented rate. Speed, capacity, and capability requirements have expanded exponentially and data centers must respond to meet these needs. From retrofits and cabinet ecosystem reconfigurations, to upgrades and new facility construction, data center operators need to consider a wide array of issues to meet or exceed data center objectives. In an interconnected world where organizations combine enterprise-owned and cloud-based services, managing assets and white space remotely has become increasingly important. A holistic, cabinet-centric approach to the data center simplifies operations, costs and labor, as well as future expansion. All of this results in an optimized data center environment that meets the high efficiency standards of today and tomorrow. A cabinet ecosystem is the foundation of a successful data center strategy. This cabinet-centric approach provides equipment support, airflow management, cable management, intelligent power distribution, environmental monitoring, physical security and system optimization, allowing you to fully utilize each square foot of space. This can provide both a near-term payback and long-term capacity to grow. Aisle-level containment strategies increase efficiency and scalability in both Brownfield and Greenfield applications when cabinet-level isolation is untenable. You should consider aisle containment solutions with built-in flexibility and high-quality engineering. The best aisle containment solutions easily adapt to challenges such as limited ceiling height and complex overhead pathways. To create the most efficient data center for your needs, it’s important to consider which type of environment is best suited for the task at hand. In addition, understanding key concepts and identifying your main objectives in advance will also help optimize data center performance. An integrated enterprise data center solution makes overall deployment and ongoing management simple and economical. Thermal management solutions can greatly reduce cooling costs. Automated monitoring paired with a Data Center Infrastructure Management (DCIM) solution will help assist in asset monitoring and ensure capacity optimization. Cabinet-level electronic access control solutions can prevent unauthorized physical access and provide administrators with an audit trail of all cabinet access for regulatory compliance. Colocation data center solutions options should support continuous uptime and provide remote monitoring, asset management, security and leverage the ability to trend power capacity over time to help forecast power consumption more accurately. Further, colocation data centers often provide access to power charge-back reporting to closely control power consumption expenses. Cloud data center solutions provide a single, customizable cabinet solution that arrives ready for equipment installation. This allows for rapid growth and network expansion. Customization capabilities also allow unique configurations to match specific needs. As connectivity evolves to support the Internet of Things (IoT), companies face new challenges with their IT networks extending into manufacturing floors, warehouses and other nontraditional environments. For cleaner environments, wall-mounted enclosures can be used to store equipment throughout the office. For dirty or wet environments, NEMA-rated industrial enclosures and accessories such as cooling units and sealing grommets provide additional protection. Secure and protect critical equipment in high-density environments. Reduce cooling costs and manage extreme heat with passive cooling technology. Cabinets that include specific and physically separate pathways for power and network cables as well as mounting locations for power distribution units (PDUs) help ensure network integrity with minimal airflow interference. Intelligent PDUs monitor and control power down to the individual device, as well as provide outlet-level monitoring and switching. Reduce network costs by managing multiple PDUs using a single IP connection. Environmental sensors and probes help ensure equipment is protected from critical environmental conditions. Electronic access control solutions help protect critical equipment, data and personnel. Data Center Infrastructure Management (DCIM) software enables visualization and trend analysis of all activities in a data center space. PDUs and accessories may be preinstalled into the cabinet for fast, simple ordering and deployment from a single vendor, making operations more efficient. As illustrated in this article, there are many factors to consider when designing a Brownfield or Greenfield data center solution. By working with a leading data center solutions partner, you can be sure your specific needs are addressed. This could mean the difference between a poor-performing or mediocre data center and a comprehensive solution that exceeds expectations. The opinions expressed in this piece are solely Chatsworth Products’. They do not necessarily represent WESCO’s views. 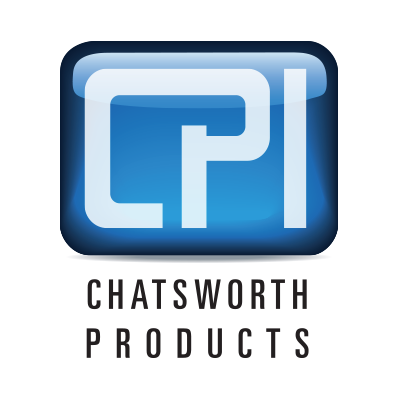 At Chatsworth Products (CPI), our mission is to address critical IT infrastructure needs with products and services that protect your ever-growing investment in information and communication technology. The Foundation for Simplified, Reliable Operation. 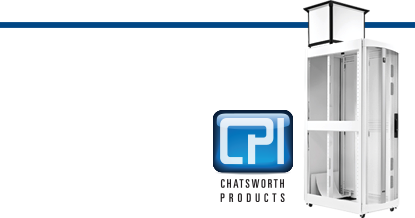 Data Center Solutions by Chatsworth Products. What do we mean by end-points, and why do they matter? We’re talking about end-point applications, and they’re important when it comes to choosing the right UTP cabling solution for the right end-point application. While there are a lot of variables that come into play, relatively speaking, variables like transmission speeds may be among what’s least important. High throughput, low latency, network availability, reliability, and security have always been top priorities in data centers. But the recent wave of technological advances — autonomous cars, augmented reality, 5G, and all the other connected objects of the Internet of Things (IoT) — are taking those priorities to a new level and bringing new challenges to IT system administrators and data center managers.